About a month before the 2011 Sarawak state elections, a video clip surfaced on YouTube starring the popular DAP hornbill mascot. Titled ‘Ubah vs Taib’, the cheeky video exhorted the people of Sarawak to rise up against the long-standing Chief Minister in the spirit of the social-media-driven revolutions in the Middle East. While the intended audience did not respond with a political tsunami, the DAP did make historic gains in that election. Worth noting is the trend which political scientist Bridget Welsh calls a ‘youth revolt’ in which a whopping 70% of young voters rejected BN. That’s a 25% increase of support for PR since the last state election. Have new campaign methods struck a chord with the younger generation? DAP’s use of multimedia and new media in its Sarawak for Change campaign was popularly received, particularly the runaway hit, Ubah. The mascot named after a verb has taken a life of its own. Apart from gracing campaign memorabilia and literature, Ubah also has its own twitter account (with over 2000 followers) and facebook page (with over 2000 friends). 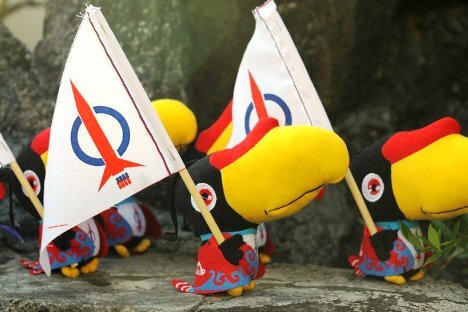 Since its unveiling in January, the adorable hornbill mascot quickly became the single most identifiable face of the DAP campaign in Sarawak. Over 30,000 mini Ubah plush toys have sold, with a reissue is in the works by popular demand. Many of the Ubah toys were snapped up by youngsters who packed the DAP rallies in the thousands. 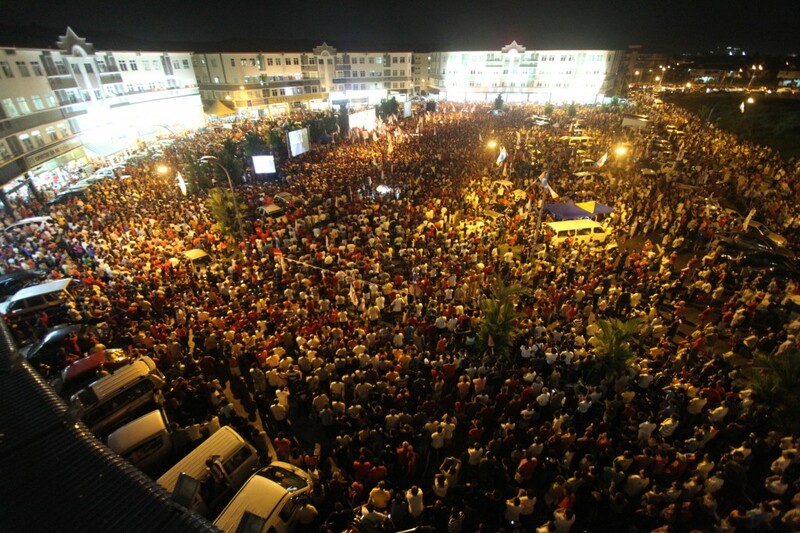 I witnessed one such scene in Sibu at an open-air rally boasting a crowd of 20,000 on the eve of polling day. With fervor more common in mosh pits of concerts than political ceramahs, boisterous teens elbowed their way to the front of the standing-room only crowd to greet DAP leaders as they made their way to the eight-foot high stage. Teens clamored for DAP leaders to sign their t-shirts or plush toys. Elsewhere, at a fundraising event, autographed plush toys of Ubah apparently sold for thousands. Adolescent Angst or Urban Phenomenon? High online readership figures -in contrast to mainstream newspaper’s declining circulation figures, point to this generation’s preferred news source. Social conditions have birthed a new breed of voters who are arguably less fearful of authority than their parents’ generation, thus less likely to regard supporting the opposition as taboo. The perceived government clampdown on PR’s advantage on the internet only fuels interest. One plausible explanation of internet popularity is its role as an equalizer. Under the cloak of anonymity, facelessness becomes a tool of empowerment for views that could not be expressed elsewhere. Passive participation is the new norm as namesake supporters create ‘like’ pages, wear ribbons, or embark on facebook revolutions with a fuzzy notion of supporting a cause. Without disparaging these forms of low-level ‘social activism’, it remains to be seen whether armchair revolution can change the world. What it does do is make one feel powerful, and to an extent, connected to something larger than oneself that is taking place hundreds of kms away. In real life, resource-strapped PR can never be on a level playing field with the government machinery used by the BN juggernaut. But in the untamable internet universe, it’s no holds barred. As trends and data are shared and exchanged at the speed of broadband, neither party can censor the free flow of information. At Wisma Sanyan in Sibu during the election campaign, an incident of alleged vote buying was recorded via a DAP worker’s mobile phone camera and uploaded instantly to YouTube. While PR has built up its popularity in cyberspace, voting data rather than Facebook ‘likes’ would be more representative of offline sentiment. Results show that the swing towards PR was not confined to urban areas alone, with voters in semi-rural Batu Kawah, Dudong, and Piasau rejecting BN. Semi-urban areas were the biggest beneficiary of this trend, Welsh says PR gained 19.8% more support in semi-urban areas as compared to 14.8% in rural areas an 13.4% in urban communities. In fact, the anti-establishment trend among youths has been on the rise since the 2008 General Elections. In his analysis of the Kuala Terengganu by-election in 2009, Ong Kian Ming detected a shift in the voting pattern, where the average age of voters was below 35, BN support decreased by 4.4%. That means younger voters, regardless of race, were more likely to vote against BN. 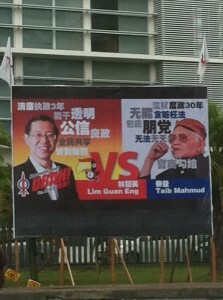 Similar age-focused analysis of the Bukit Gantang by-election also showed a ‘generational deficit’ faced by BN. Perhaps the age of candidates fielded may be a good illustration of the generational gap. DAP capitalized on local young professional candidates willing to give up promising careers to return home to serve in their hometown. Given that the average age of DAP candidates fielded was 39, the fresh lineup worked well with the campaign theme of “change”. Meanwhile the BN lineup -led by 70-something Chief Minister Taib Mahmud- was saddled by a public image of not having young blood in its ranks. The average age of the DAP candidates’ opponents was 58, a good two decades older their DAP counterparts. Young voters are more likely to turn out to vote. Sarawak 2011 showed a 16% increase in young voter turnout. Taking into account the large number of unregistered young voters, the value of their generation’s vote will increase over time. Since 60% of Malaysians are below 40 years of age, it is clear that this demographic is key to achieving political success both now and in the future. Both BN and PR know this. BN’s attempt to woo younger voters by inviting popular singers Michael Wong and Nicholas Teo to sing at SUPP concerts in Sibu backfired, when the turnout was less than expected. Despite booking an entire field for the concert, only about 2,000 people turned up to hear the singers. The crowd seemed interested in the singers and not the political campaigning; most left immediately after the music. About 200 remained to listen to the SUPP candidate. Whereas the DAP ceramahs were packed by young and old alike, having no funds to invite guest artistes, young campaign workers sang on stage with the candidates and leaders instead. They were able to recreate concert-like atmosphere with glow sticks, inflatable toys, balloons, and candles being handed to the crowds in Sibu, Kuching and Miri. 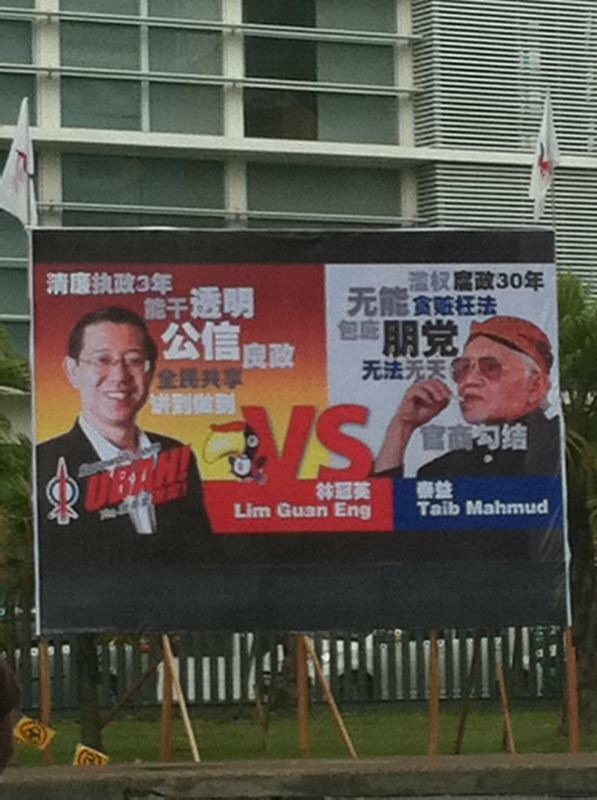 Besides the many younger campaigners – notably Tony Pua, Liew Chin Tong, Anthony Loke, Teo Nie Ching, Gobind Singh, and Zairil Khir Johari; even the old guards of DAP made an effort to connect with the younger electorate. During his speeches, Lim Guan Eng even sang a song popularized last year by the Korean pop group Wondergirls. Lim Kit Siang was one of the first and still is one of the most prolific politicians active on Twitter and on his blog. This article was written by admin on Tuesday, May 3, 2011 at 2:37 pm. You can follow any responses to this entry through the RSS feed. Both comments and pings are currently closed.